Developers of the video streaming site YouTube have finally added a new feature to the website: it's called YouTube Annotations and you can see it here in action. It is subtext for videos basically although they prefer to call it annotations to make it clear that they can be used for a broader purpose. Subtitles usually only provide textual information and they are most often used to display speech so that viewers can read it. Subtitles are also used to describe scenes, e.g. that there is thunder in the background or that the rain drops on the roof. YouTube Annotations can be used to add information to the video. While it is certainly possible to use annotations as some form of subtitle for videos, it is not designed for that. It provides publishers with options to display text in videos. Probably the greatest strength of this is that the text does not need to be added when the video is produced but can be added on YouTube instead. As you can see above, annotations can be used for all kind of things including linking to other content on the site. 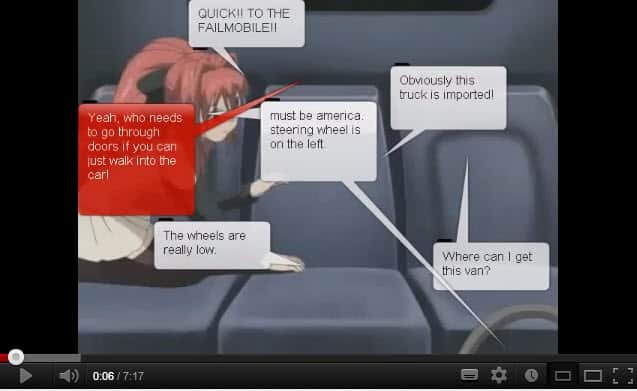 The main issue that YouTube users have with annotations is that they may be disruptive, especially if used in annoying ways like seen on the screenshot above. If one or multiple comments are spawned on the screen, or take up the entire screen as seen before, it is seen by many as a huge annoyance on the site. There are two options to deal with annotations on the site. You can hover the mouse cursor over individual annotations to close them. When you hover the mouse over them a close icon (an x) is displayed that you can click on to remove it. You can also click on the video settings button in the play toolbar and switch annotations for that video off completely which is often the better option especially if multiple annotations are used throughout it. Update: Google added an option to YouTube to disable annotations for all videos on the site. You do need to sign in to YouTube for that though using a Google account or your old YouTube account. Update 2: Google removed the option to create annotations using YouTube's Editor. The feature has been replaced by a feature called Cards which allow creators to add links to a video, playlist, channel, link to approved websites, or create polls. Find out what YouTube annotations are, why they can be annoying and how to disable them for individual videos or completely. Actually clicking that on every video will be a major pain. Hey, these guys found a funny way to use annotations… Thought you might enjoy! Use this website. It works great! The website lets you copy an annotation from any of your videos and paste it on some or all of your other videos. You no longer have to do it by hand.